Today Google introduced a completely redesigned version of its Calendar app for Android, meant to help make your scheduling and planning more efficient. 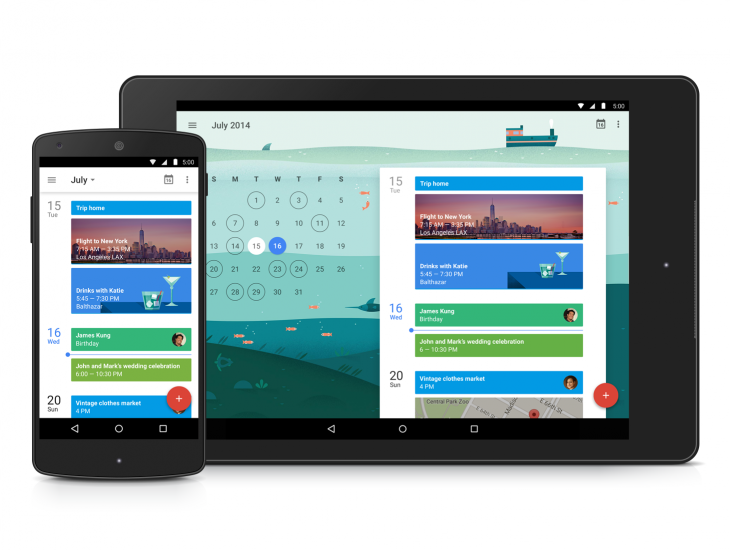 It also introduced a Material Design update to Gmail. Following the new Inbox email app, Calendar is now smarter and automates a lot of the process of using it. For example, when you receive confirmation emails for things like hotel reservations or flights, they’ll be added automatically to your calendar, updated in real time to any potential changes. There’s also a new feature called Assists, which essentially works like a contextual auto-complete as you add events and information to your Calendar, incorporating information like addresses, phone numbers, and attendees from your stored data. Finally, Google is also introducing a new display format called Schedule View, which is meant to give you more visual information about the data on your calendar. Photos and maps about recent events will be displayed on your calendar to help you quickly understand the information you’re writing about. The new Google Calendar is available today on all devices running Android 5.0 Lollipop, but you’ll be able to download the update from Google Play on all devices with 4.1+ in the coming weeks. As for Gmail, despite the hype Inbox built, Google still isn’t abandoning its traditional email app. Today’s update includes an improved UI with smoother animations and some new features. Functionality-wise, the biggest change is the addition of support for non-Gmail email providers – you can set up separate inboxes using POP/IMAP. The updated Gmail app supports all Android 4.0+ devices, and begins rolling out today.